Our distinctive design representing the wilderness environments that are your playground and 2nd home. Fully embroidered, morale patch with Glow-in-the-Dark thread, and hook backing. 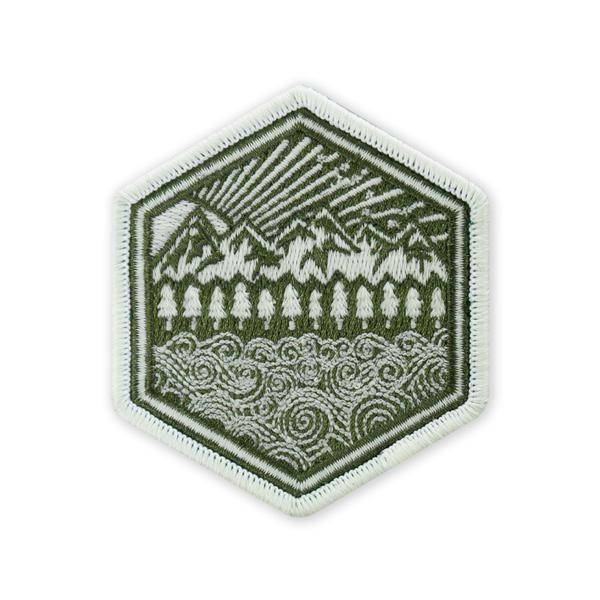 From summit to sea, and any wilderness in between, the graphic on this morale patch design shows that you are someone who is proficient in the skills to operate in “All Terrains.” You are comfortable and confident in any outdoor environment. Field skills are second nature, you are at home in the outdoors, and you not only know how to just survive, but thrive in the wilderness.